Regular car maintenance near Fairfax, VA, by trained and certified Factory Scheduled Maintenance Specialists is key to keeping your transportation safe and dependable. Higher-quality vehicles and improved reliability means people are keeping their cars longer. When you maintain your vehicle it maximizes performance and fuel economy, and keeps your vehicle healthy over a longer lifespan. Figure on annual car maintenance costs near Fairfax, VA, to average just north of $537, the figure last reported in 2012 by the Bureau of Labor Statistics. Drivers can expect, on average, to have those car maintenance costs for seven years and nine months says Experian Automotive in a 2014 vehicle sales analysis. Although automakers are engineering and manufacturing cars and parts that perform better and last longer, that translates to more expensive car repairs, so car owners are wise to follow the manufacturers’ Factory Scheduled Maintenance recommendations. Meeting these guidelines as scheduled honors the provisions of your warranty should anything go wrong and keeps you driving safely down the road with confidence. When you need the utmost confidence in the safe performance of your vehicle, depend on the well-respected, ASE-certified, factory-trained team at Wiygul Automotive Clinic. 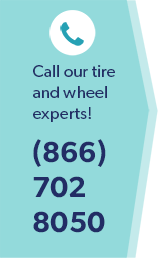 Providing car maintenance near Fairfax, VA, you can count on. Below are some of the hundreds of complimentary customer reviews, exclusively certified by Demandforce, Inc. to be from our customers. We are proud to provide efficient, timely, and cost-effective car maintenance for Fairfax, VA, drivers. If you are looking for consistent, dependable automotive services and solutions, including VA state inspections, Goodyear Tires, brake service and more, look to Wiygul Automotive Clinic. When you need quality car maintenance near Fairfax, VA, at an affordable price you can depend on the car maintenance experts at Wiygul Automotive Clinic to consistently deliver. Come check out our Goodyear Tire Center and computerized, state-of-the-art service facility. Talk to our ASE-certified mechanics and factory-trained technicians. Depend on Wiygul Automotive Clinic and drive with confidence.